Yup, that's me. 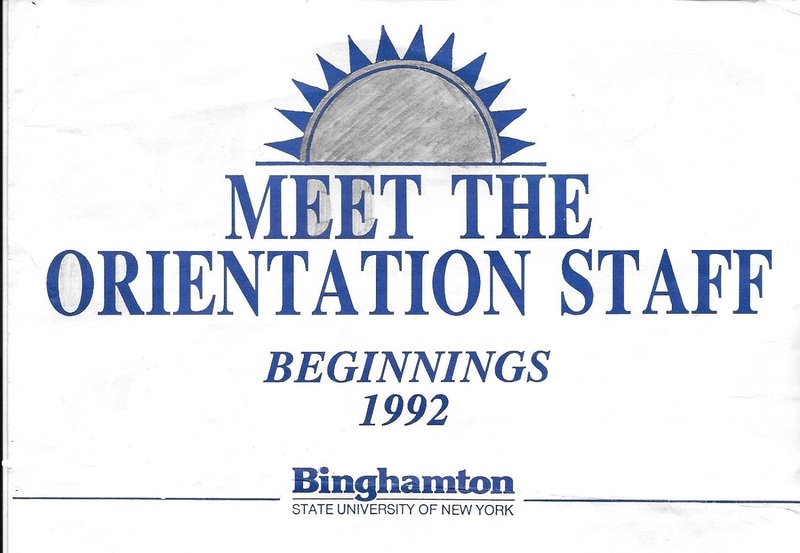 I worked as an Advisor for Binghamton University's Orientation Program during the summers of 1992 and 1993. I've had the brochure kicking around my nightstand draw for a while now. I thought I should scan it before it gets destroyed. Good thinking! I've been doing some scanning lately too. It's funny how all these little pieces of paper start to accumulate around the house. That's good that you are doing some scanning too. Me too! Drawers are filled.